As your business grows, so does your dependency on reliable access to real-time information and online business applications. Velocity Unified Communications Dedicated Internet Access services offer incredibly reliable, fast and cost-effective Internet access for your organization. Velocity Unified Communications commitment to supply quality and dedicated service sets it apart from other vendors. Velocity Unified Communications offers Dedicated Internet Access options available in a wide range of speeds and access methods. This flexibility with redundant and scalable infrastructure, 24-hour monitoring and support, Tier 1 IP partner supported backbone and high-bandwidth transport services, deliver our clients quality web experience. Gain global reach and flexible capacity management that can scale on demand to handle various streaming formats, flash crowds and peak loads. Build a more engaging customer experience with improved download speeds and video quality, which can lead to increased time online and potential growth for your ad- supported revenue derived from streaming viewership. Reduce investments in streaming-media servers and in-house resources that are necessary to manage the technical complexity of high-performance streaming, which in turn can decrease your time to market and minimize up-front capital outlay to build out infrastructure. 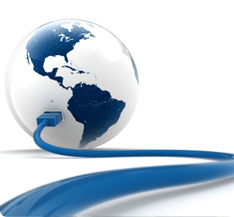 Access to fit your business with on-net and off-net access available for various circuit speeds and technologies. Choose standalone Internet service or add it to other Velocity Unified Communications data communication services.